Hello and welcome back to the Saturday Sanddancer Scene, where members of Curly’s Corner Shop Message Board compete to have their photographs published here, this time around I asked members to submit portraits, and we had a wide and varied selection of entries. The winning entry comes from Dave Smith, a former South Shields man, now living in Chester-le-Street, Dave has an Italian wife and this wonderful charming picture was taken during one of his many family trips to the hills of Italy. Antonio Marra was 84 years young when this picture was taken, he is a former police officer and the picture was shot in his house in Taurisano in the Lecce region of Italy, the part which we commonly refer to as “the heel”. Antonio is allowed to enjoy a single glass of wine per day and he was relishing this one after lunch on a rather dull afternoon when the light levels were receding somewhat. 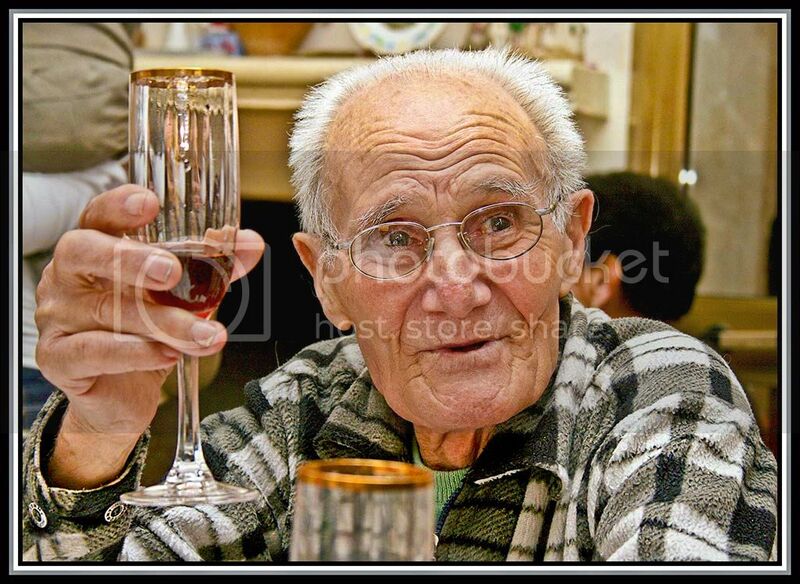 Dave tells me that Antonio is now over 87 years of age and is still as sprightly and lively as ever! Dave has an avid interest in photography, is a Photoshop user, and is always looking for those ways to improve his art, this shot was taken on his Canon 400d using the kit 18-55mm lens, he used bounced flash from the Canon Speedlite 580 Ex ll. The exposure was 1/60 sec. at f5.6, and the iso speed as 400. I think you will agree this is a magnificent portrait full of genial warmth, which puts the viewer firmly in the picture, I can easily imagine a conversation with Antonio. To stay up to date with my regular pictorial postings please go to South Shields Daily Pictures.